It's really hard to talk about failure. Failure is an ugly word, but studies reveal that "showing kids that failure is a learning opportunity boosts their resilience" and not just kids, but adults too. "Being willing to kill projects is one of the best things that you and your teammates can do". The Failure Toy™ challenges the notion that failure is something to be feared and hidden, and instead something that can be practised and developed as a skill. 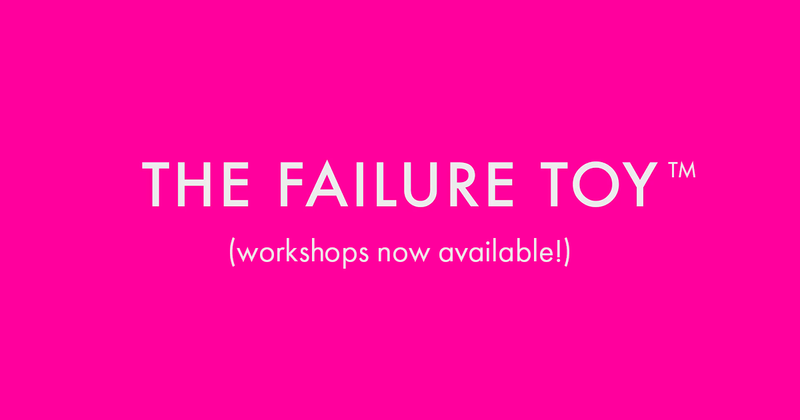 While we won't be making the Failure Toy™ kits available until 2019, we're excited to announce that we are finally ready to run Failure Toy™ Workshops! This means that if you have a team, or are part of a team, you can get in touch with us now to book your workshop. If you are an individual educator or facilitator don't worry, you'll be the first to hear when toy kits become available (as long as you join our FAIL LIST below).